We are a non-profit, hereditary state society dedicated to preserving the account of our Mayflower ancestors through genealogical and historical research. Our society, founded in 1901, has over 800 members. Under the governance of the General Society of Mayflower Descendants, we offer membership events which include historical and educational speakers. 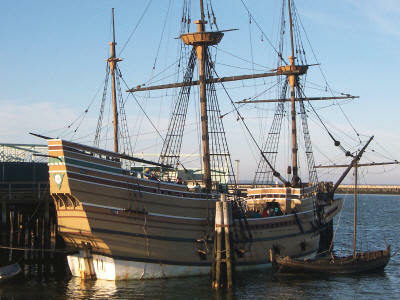 You may be eligible to join the Michigan Society of Mayflower Descendants if you can document your descent from one of the passengers on the Mayflower voyage of 1620. Check our membership page for a list of the Mayflower passengers with known descendants and for information on how to start the application process. We hope that you will take a few moments to explore our site and consider joining our organization. Please click NEWS & Events for news articles, meeting dates, and the Luncheon Reservation Form for each meeting.